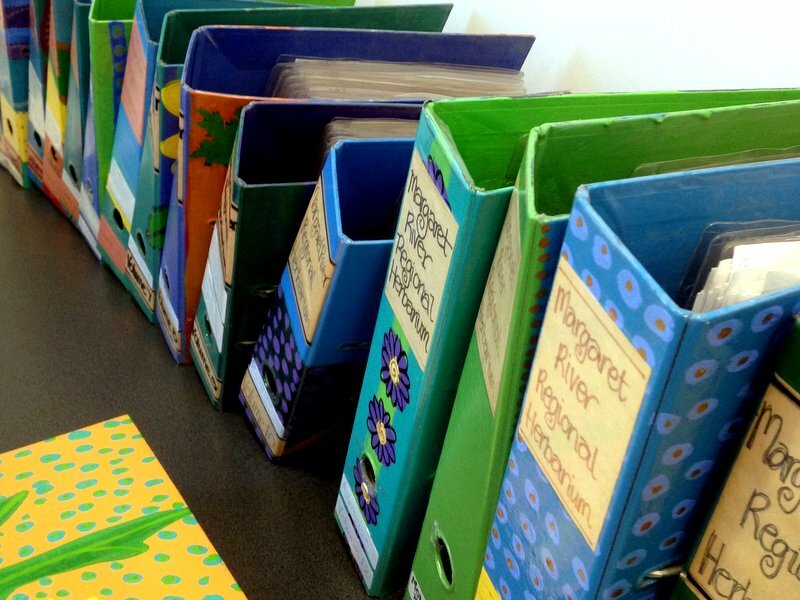 There are so many resources available in our wonderful archives, museums and libraries and, increasingly, many of them are also available online as digital images. Documents I’ve found using the Internet have been invaluable over the years but there’s really nothing that beats the pleasure of holding the real thing in your hand – whether it’s a newspaper page, a letter, a diary or a dried and mounted botanical specimen that was gathered, somewhere, by someone, on a day in the past, when they went out collecting. I wonder how many of you know of a terrific local resource available to researchers here in the southwest. 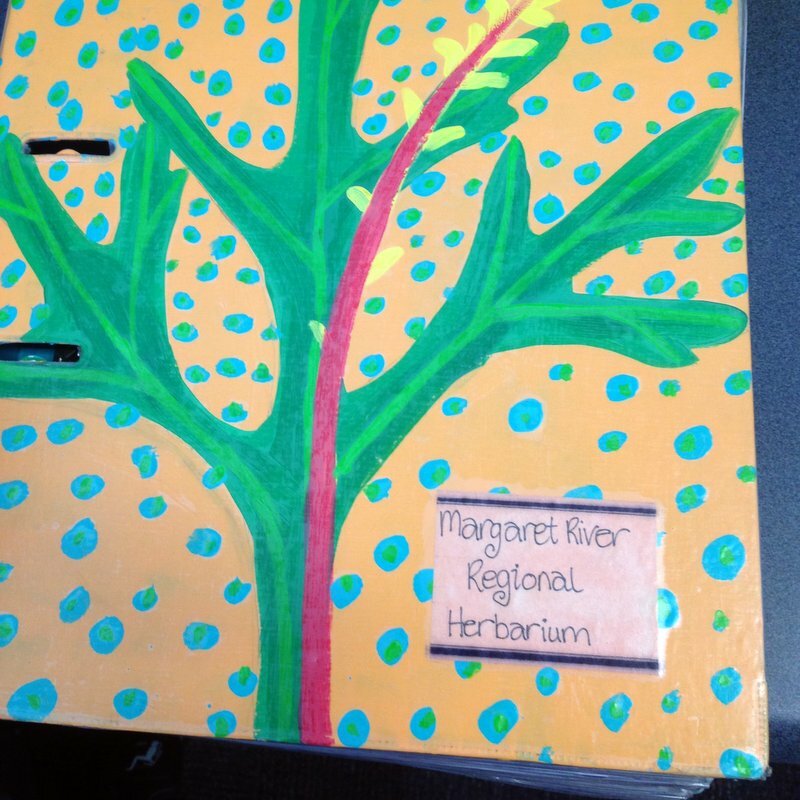 My plan was just to take a few photographs but, before I knew it, I was lost in time, leafing through the pages of our Margaret River Regional Herbarium, a resource so inviting that it will pull you in if you so much as open just one of the many folders. 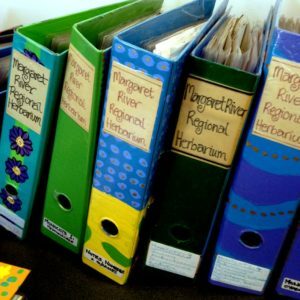 The herbarium is kept at the Margaret River Library in the local history section, and is available to the public. 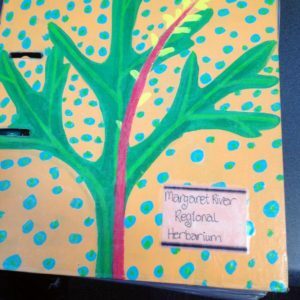 It’s the result of many years of work, the collection of volunteers documenting our local native flora in this southwest region, and it’s a real delight. A reminder that so much of what we learn, and what’s available for study, is the outcome of people walking in the bush, on the coast and even in the towns, using their botanical knowledge to collect and save what eventually builds to an amazing resource. So here’s a big thank you to all those botanical volunteers who went out there over many years in rain and shine to put the resource together, and the ones who are still out there in the forest, in the bush, on the granite outcrops, out on the Cape to Cape track, on the beaches, in the paddocks, the car parks and road edges and parks and reserves, along the riverbanks and anywhere else our wonderful native flora can be found. Your work’s so important and very much appreciated. 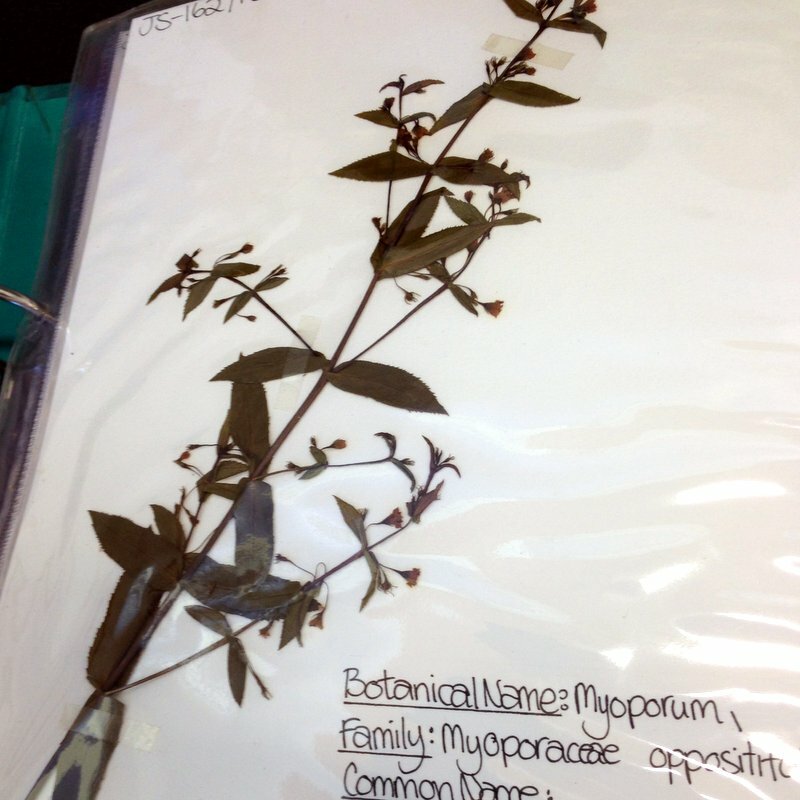 If you want to use the Margaret River Regional Herbarium for reference, you’ll need to take account of the fact that the records were made before the taxonomy changed so just make sure you update any botanical names as necessary. With thanks to Jane Scott and Margaret River Library. This is so interesting. When I lived in Yallingup I never thought to go to the library to research plants. It is great that so much information is online but as you say there is nothing like holding the past in your hands. Couldn’t agree more, Elise. It’s also important to share the sources of information when you come across them. I didn’t know about this resource myself for a long time and I’m a local. The combination of online discoveries and resources like this one make research the fascinating and addictive process it is!